Hazarath Moulana Mohd. 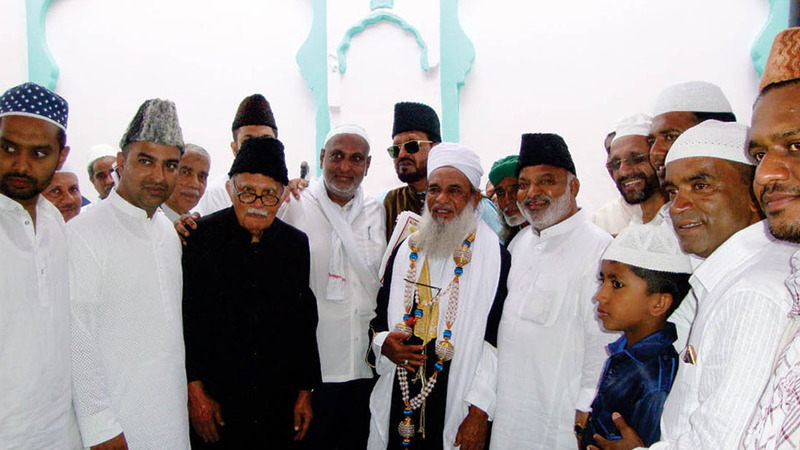 Usman Shariff, Sir Khazi of Mysuru, who is performing Eid-ul-Fitr and Eid-ul-Zoha prayers at Eidgah Maidan, Tilak Nagar, since the past 20 years was felicitated by the Muslim brethren during the Eid celebrations of Saturday last in the presence of Prof. B. Sheik Ali, former Vice-Chancellor of Mangalore and Goa Universities, Mohd. Mumtaz Ahmed, Secretary, District Relief Committee, Corporator Suhail Baig, Hakim Habeeb, Arif Mekri, Chairman, District Wakf Board Advisory Committee, Mohdees Azam Hind Mission President Jameel Ahmed Ashrafi, Member Mirza Jamsheed Baig Ashrafi and others. Will this high mast lamp glow in Nanjumalige Circle?